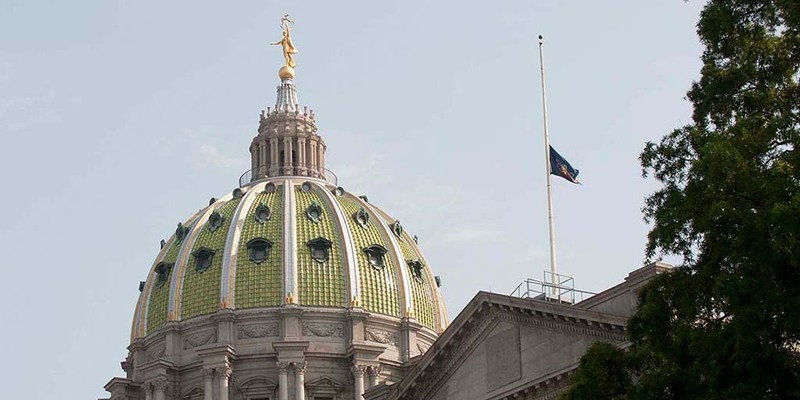 Harrisburg, PA – Governor Tom Wolf has ordered the Commonwealth flag at the Capitol Complex and at all Commonwealth facilities in the counties of Lehigh and Berks to fly at half-staff to honor fallen firefighter Erik Hirner. Erik Hirner, a resident of North Catasauqua, Northampton County, and an 11-year veteran of the Reading Fire Department, Berks County, died from injuries after his vehicle was struck by another while en route to work on Sunday, May 27, 2018. The Commonwealth flag shall be lowered immediately, Thursday, May 31, 2018, through sunset on the day of interment. All Pennsylvanians are invited to participate in this tribute.